** Please be aware – Our last event SOLD OUT in advance. 2019 is expected to be the same. Pay your deposit NOW to secure your place!! LIMITED PLACES available. DO NOT HANG ABOUT!! The Kavos Soul & Reggae team return for their third year, offering even more value for an action packed week that has everything you need. WE ARE DOWN TO OUR LAST 70 SPACES…. Simply choose your preferred accommodation, pay your deposits, and you’re in. 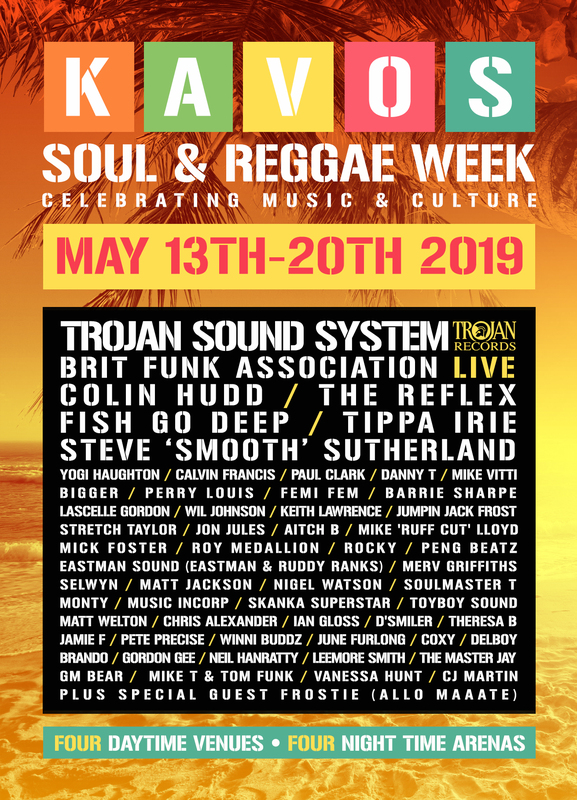 Check out all of our Events and the Artists we have playing, to see how much is included in the Kavos Soul & Reggae Week package. Choose your accommodation and pay your deposits now. This event is about to SELL OUT. Got a question? Read our FAQ page. A simple £99 deposit secures your place! So what’s included?… Well – check this out. All of this (plus more) is included in your package! !